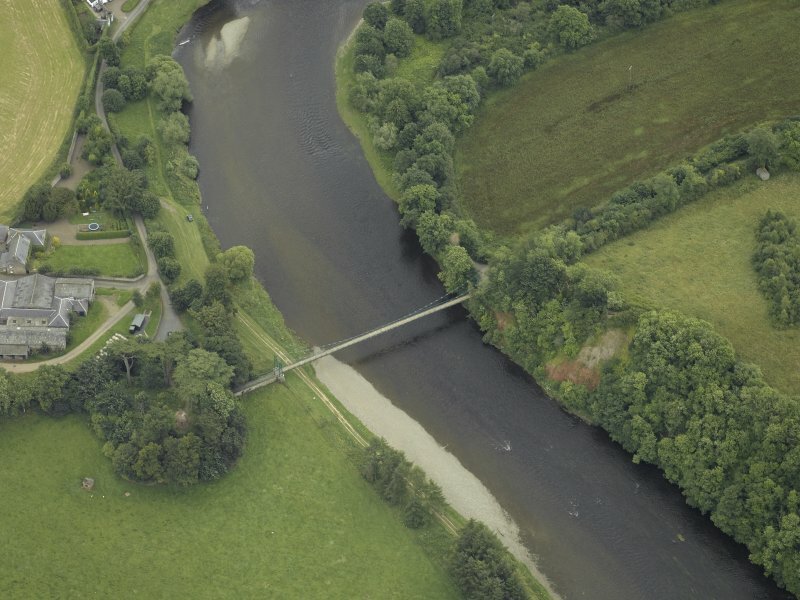 Oblique aerial view centred on the suspension bridge, taken from the NW. 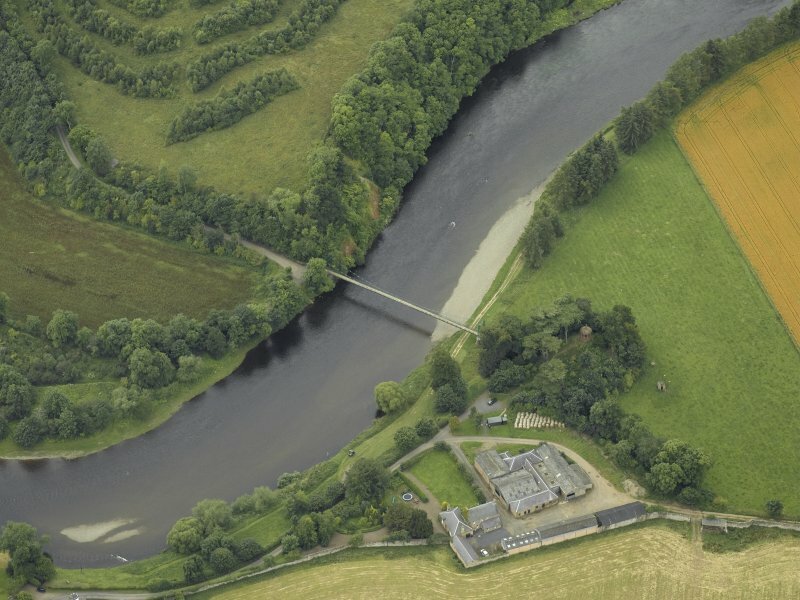 Oblique aerial view centred on the suspension bridge, taken from the NNW. 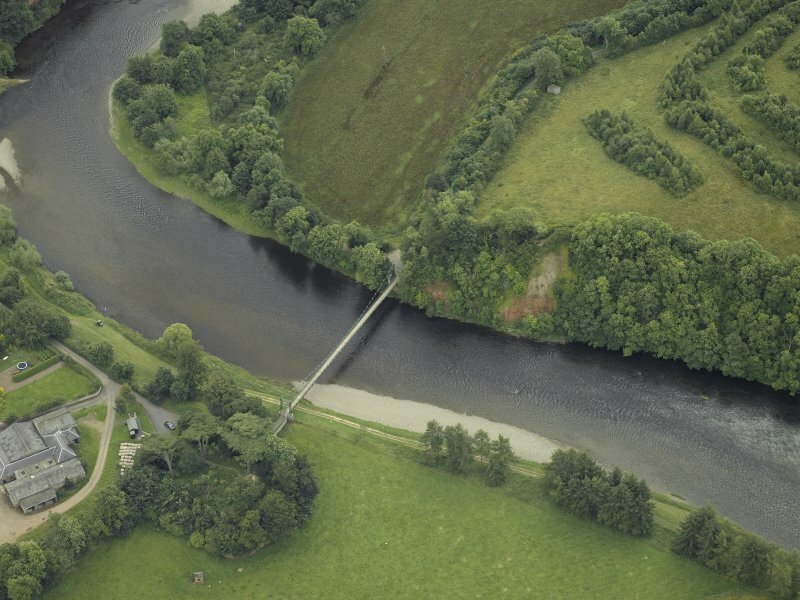 Oblique aerial view centred on the suspension bridge, taken from the NE. Location formerly cited as NT 5885 3209. 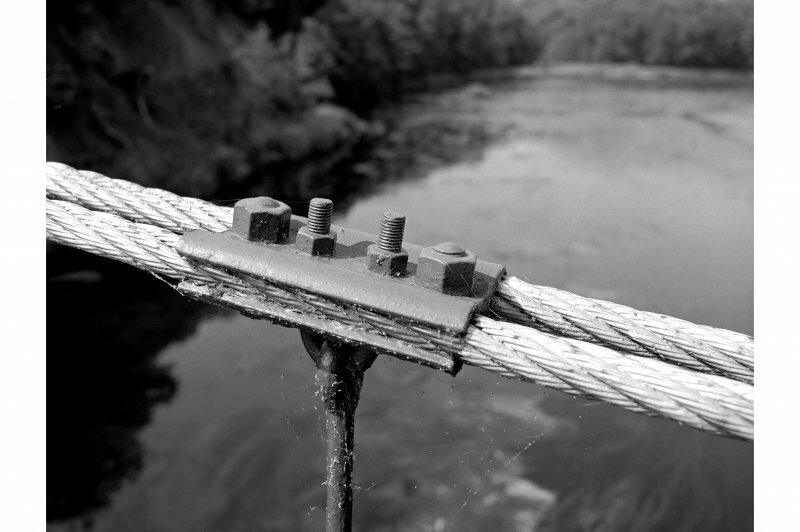 (Suspension bridge of wire rope and truss deck type: location cited as NT 588 321). 20th century. 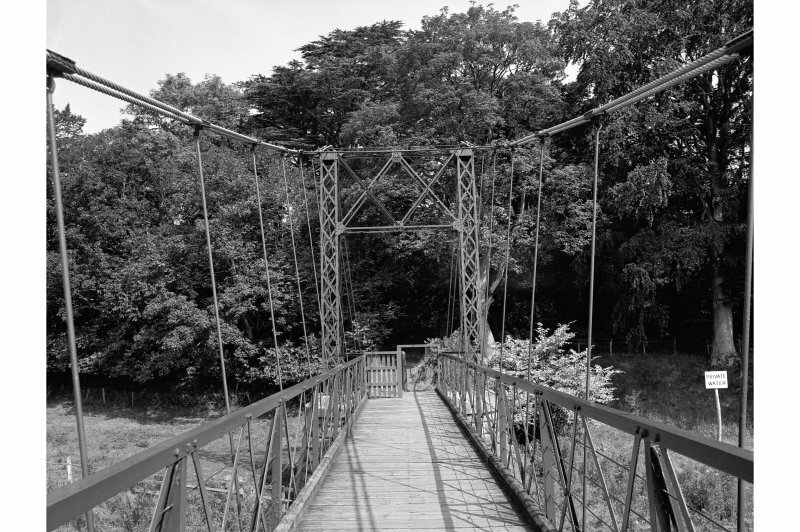 Wire-rope cables (two on each side), rod suspenders, lattice truss span, wooden deck. Span about 250 ft (76.2m). Public footbridge. 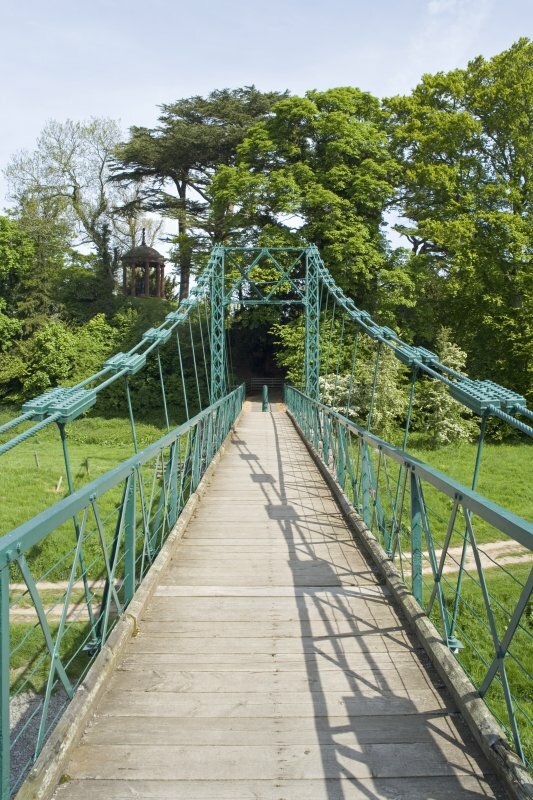 This suspension bridge was designed by John Smith, and built in 1817; it was blown down but successfully re-erected in 1818. It was blown down again and replaced in 1850. 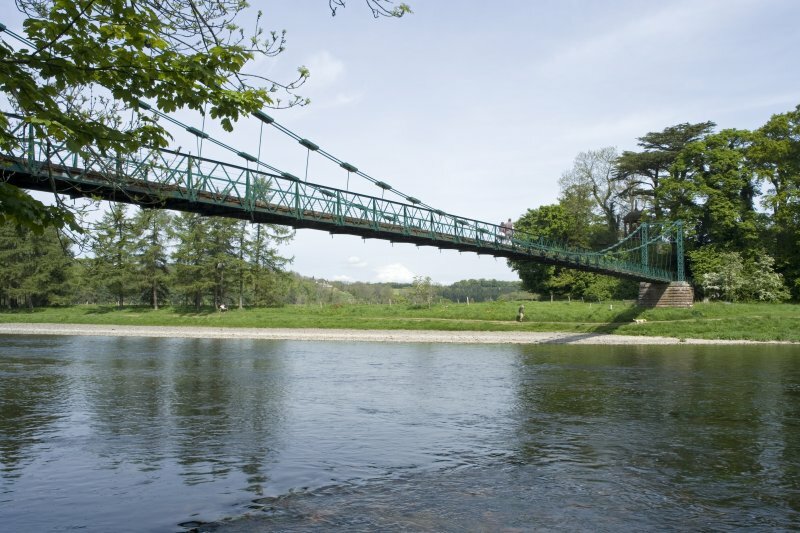 This bridge carries a footpath across the River Tweed to the SW of Dryburgh Mains steading (NT53SE 219) and within the area known as Bridge Stream. The river here forms the boundary between the parishes of Mertoun (to the N) and St Boswells (to the S). The location assigned to this record defines the centre of the span. The available map evidence indicates that the bridge extends from NT c. 58859 32047 to NT c. 58861 32119. The chronology and extent of the successive reconstructions of this structure remain unclear. Information from RCAHMS (RJCM), 13 January 2006. 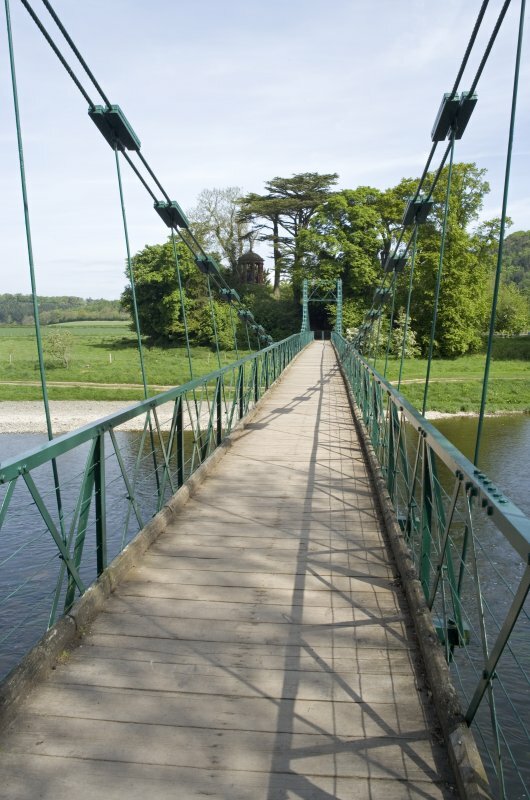 Dryburgh Suspension Bridge. 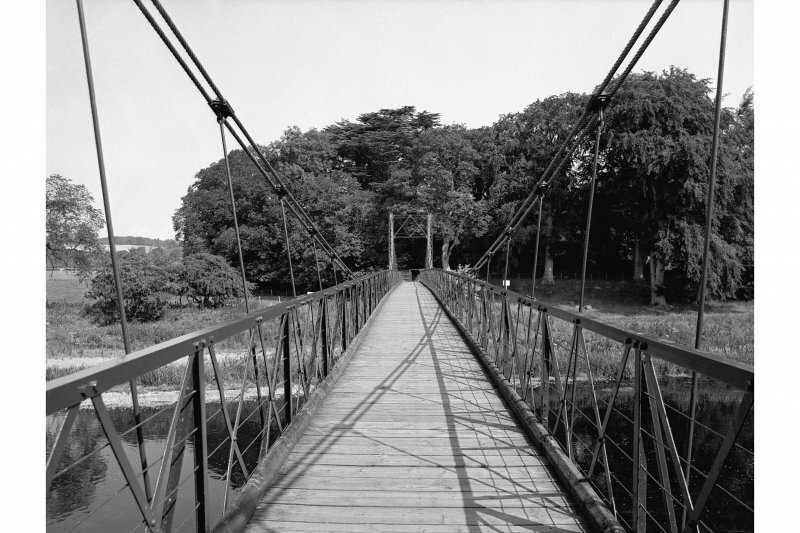 The first chain bridge in Scotland, being built in 1817 by Thomas Smith, with a wooden platform suspended from iron chains. 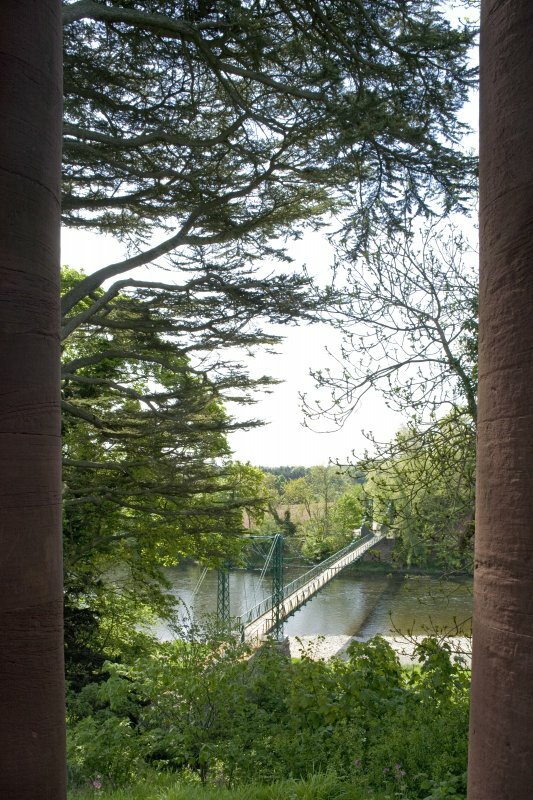 It was twice reconstructed, first after a gale in 1818 'on a new and more elegant plan' by the Smiths, and again in 1872, when firm posts were placed along the walkway, with a strong wire rope attached to each post and fixed in the centre of the bridge. K Cruft, J Dunbar and R Fawcett 2006. 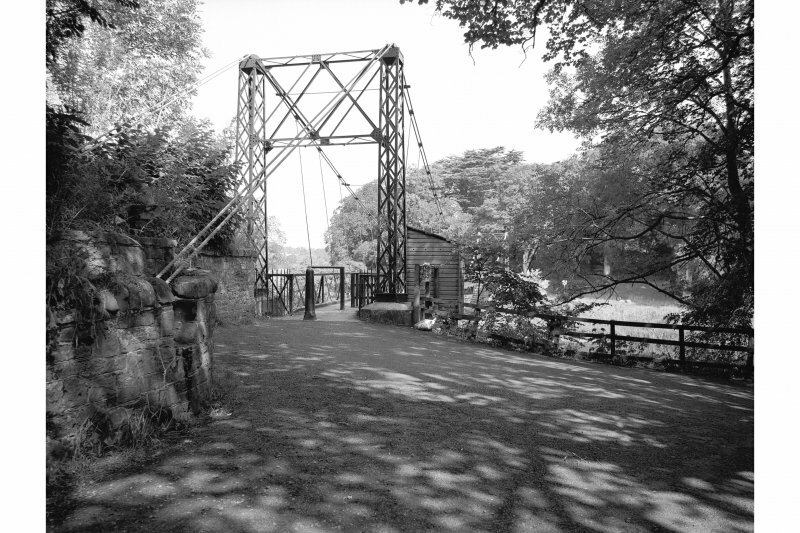 Construction of first bridge on site. Wrought iron suspension and chain stay bridge. Rod-end failure meant rebuild following year. 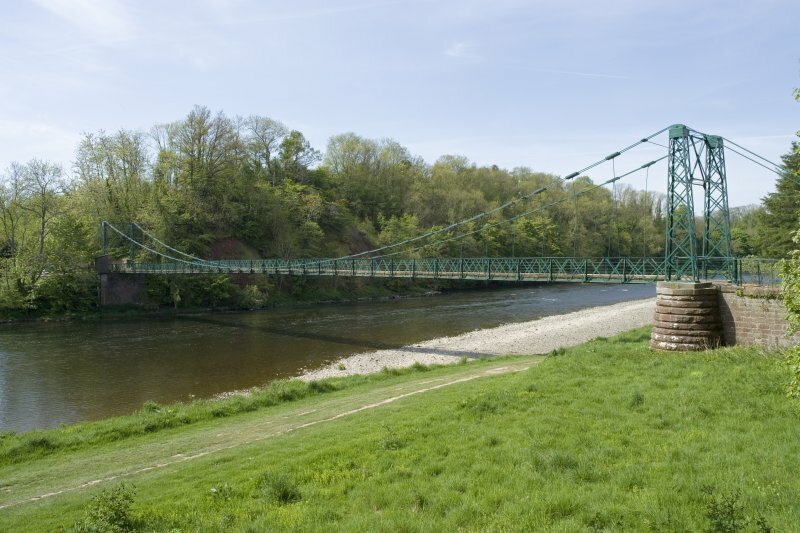 Wrought iron chain link suspension bridge replacement of 1817 bridge. bridge of the suspension and chain-rod stay type, August 1817, which had collapsed in a storm from chain failure at its rod ends (as shown). Both were designed, made and erected by J. & T. Smith of Darnick for the Earl of Buchan. Reproduced from Civil engineering heritage: Scotland - Lowlands and Borders' with kind permission from Thomas Telford Publishers.